7 Weeks after fusion: Back on the Bike! 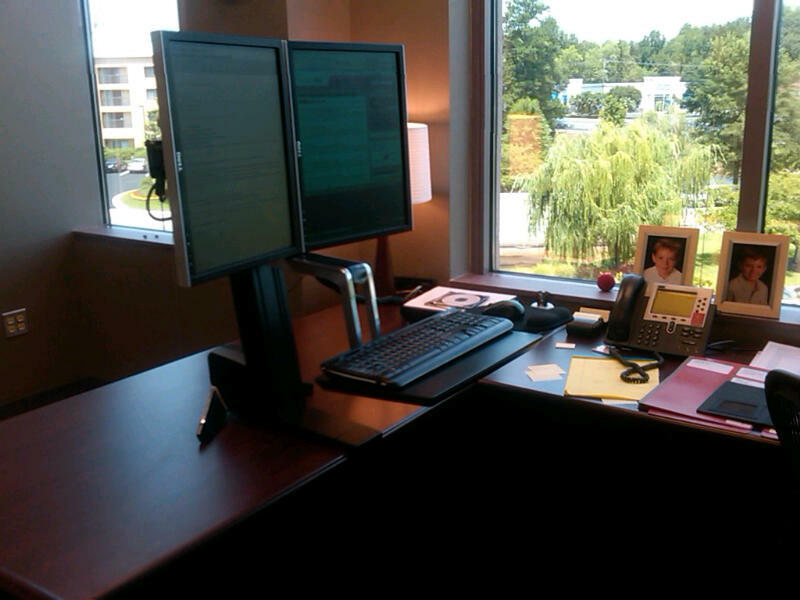 With this setup, I'm working full days (9-10 hours) with no pain, no stiffness. Being able to adjust between sitting and standing makes me feel much more active and keeps me from being stuck in the same position all day. I have of course not been able to keep up my daily walking as easily now that work has fully devoured me again. To stave that off, I finally got back out on the road on my bike again today. Even though it was 95 degrees(!) it was a great feeling to get back out. I just did 10 miles but the neck feels fine. Looking over my left shoulder for traffic was a little challenging but I was able to do so and felt safe. Next up, giving spin class another try tomorrow to get back in shape. So much for my singing career?